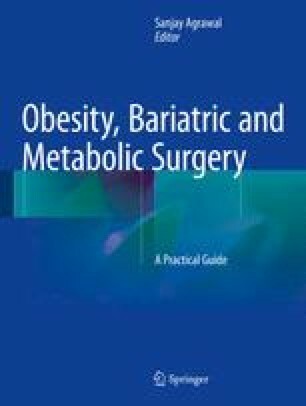 With the abandonment of jejuno-ileal bypass and despite the development of gastric bypass, several surgical groups preferred less aggressive options such as vertical banded gastroplasty (VBG), for the treatment of morbid obesity, in order to reduce early morbidity and avoid bypassing any segment of the digestive tract. Long-term complications requiring redo surgery are common after the VBG. Patients who develop long-term complications after VBG need to be fully evaluated by a multidisciplinary team before anything is undertaken. This includes the precise anatomy of the former procedure, which can be assessed by endoscopy and upper gastrointestinal (GI) series. Patients should be prepared if any reoperation is necessary, especially if they have regained weight, in order to optimize the results of the redo procedure. Reoperation can consist of reversal, restoration of the normal VBG anatomy, or conversion to another bariatric procedure. While reversal inevitably leads to weight regain, restoration is associated with many further complications. Therefore, conversion to another procedure is the best option in most cases and conversion to Roux-en-Y gastric bypass (RYGBP) is the most popular. The indications for and the technical aspects of RYGBP, after VBG, are discussed in detail in the chapter. A prefect understanding of the anatomy is essential before any division of the stomach is done. Pitfalls are described and published results are discussed. In most cases, conversion to RYGBP can be performed by laparoscopy, by a well trained and experienced bariatric surgeon. The online version of this chapter (doi: 10.1007/978-3-319-04343-2_39) contains supplementary material, which is available to authorized users.